Whether Spirax is used in the office, school or home you can be assured of consistent quality each time. There are available for all your writing needs from handy pocket, through to foolscap. The Spirax brand is synonymous with spiral bound books. Spirax has been a trusted name in writing media for generations. Whether Spirax is used in the office, home or school you can be assured of consistent quality each time you purchase. 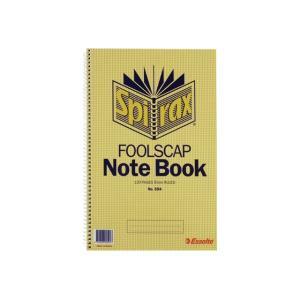 There are many different sizes and styles available in the Spirax Notebook range. There is a notebook to suit almost all your writing needs, from handy pocket size through to a large foolscap notebook.